It has been 30 years since I worked with Paul at Rolling Stone, and my memories are very sketchy. I did write some reviews for him, but most of my work at RS was feature writing. I was usually on the road with rock bands, while Paul mainly worked in the office. The RS staff hung out together a lot back then, Even when we were in the office it was like we were hanging out. The art department guys had a little drug den going, and office doors would close and you could be pretty sure people were inside getting stoned. To say this seems scandalous now after 20 years of media and government propaganda that suggests that one marijuana joint will lead to addiction and a ruined life. But getting high with people, back then, was another way of digging into the music. If you were a professional rock critic, it was just part of the work. I interpreted Paul’s distance with the romantic eyes of a young adult. I believed he acted the way he did because had a true poet’s melancholy. As if he were so into the musicians he loved, like Neil Young and Dylan, that he’d absorbed their pain, intensity and fondness for speaking cryptically. I was too naive and inexperienced to realize that Paul’s behavior wasn’t poetic: it was most likely clinical depression. Memory is fickle and it is often selfish. We remember people through the filter of how they affected us, not what actually happened. My strongest memory of Paul has to do with me. I was very young, the youngest writer in the office then, and I had literary ambitions that were not appreciated or noticed by most of my editors. They wanted more gossip, more snap, I wanted to work for the New Yorker. 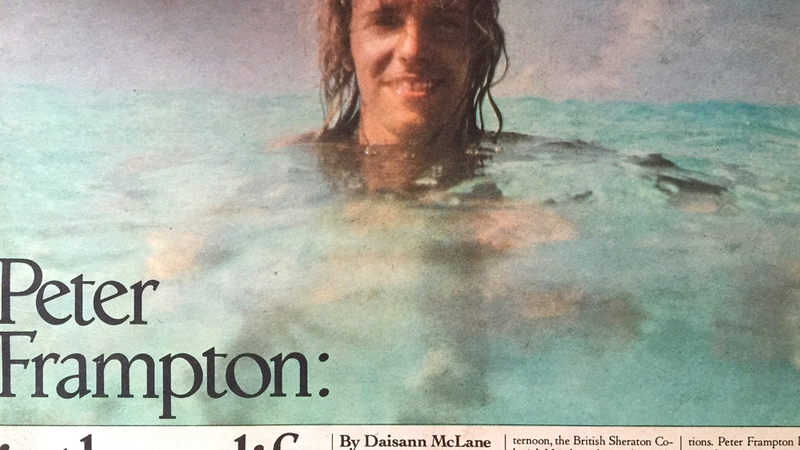 Anyway, I’d poured my sweat and heart into what I thought was a exquisite profile of….Peter Frampton. (Like I said, I was young, and we all took rock VERY seriously, even Frampton). My editor read it and liked it okay, but from his comments and cuts to the copy, I could see he didn’t get what I had tried to do in the writing at all. The pacing, the Dashiell Hammett-like style with a trace of Joan Didion. I remember sitting in his office rather unhappy about the cuts when suddenly Paul burst in with a copy of the galleys of my piece trailing from his hand. “This is brilliant,” he said. And then walked out. The piece didn’t get cut after that. Everybody respected Paul’s exquisite taste. It didn’t get any better than this. I wanted to hug him, but of course you didn’t hug Paul. Anyway, he made me feel, for a moment, like a genius.